IntenseDebate offers a couple of different blacklist filters. Your blacklist is located in your Blog Settings page. 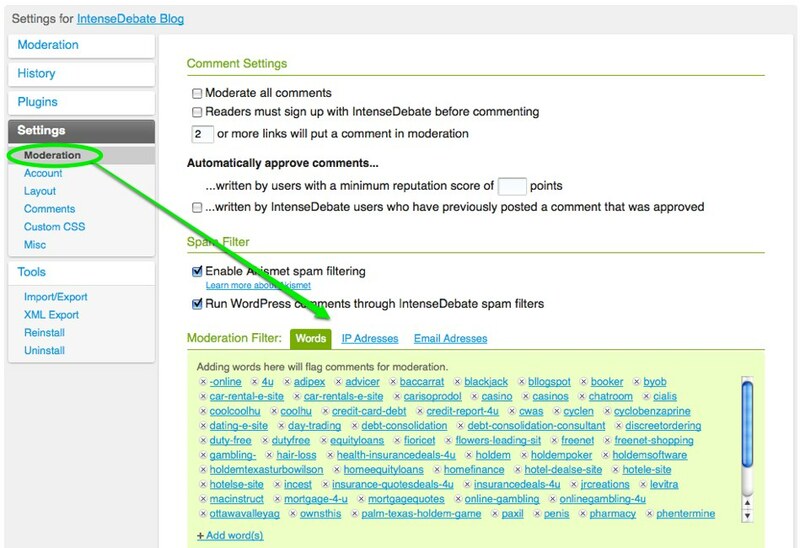 You can access this by logging into your account at http://intensedebate.com/logmein > select your blog from the “My Sites” menu item at the top > select “Moderation” under the “Settings” header in the sidebar. Your moderation and blacklists are located there (blacklists are located below the page break). You can also block an IP directly from the comment section. Locate the comment and select the “Block IP” link located at the bottom right.